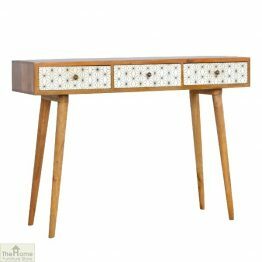 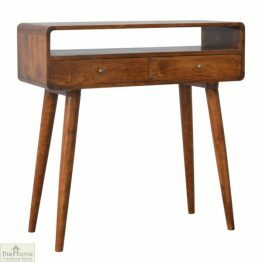 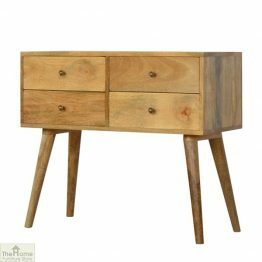 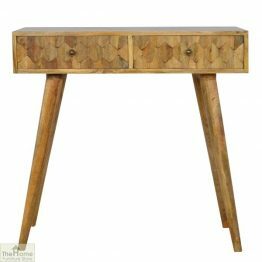 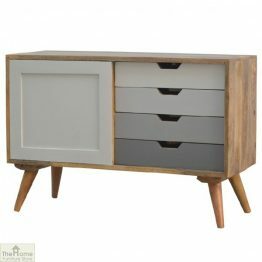 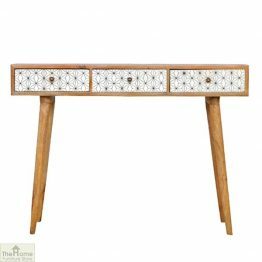 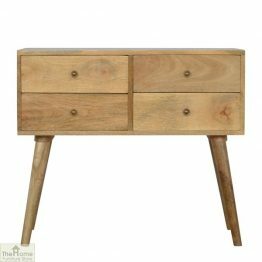 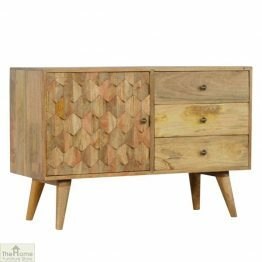 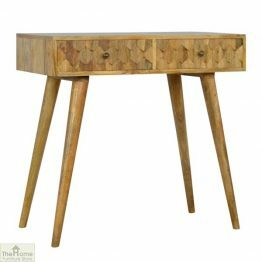 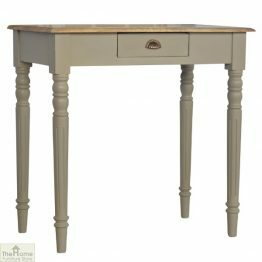 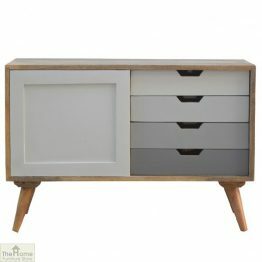 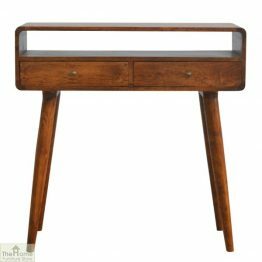 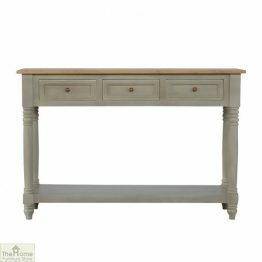 Furnish your hallway or living room with one of our delightful console tables. 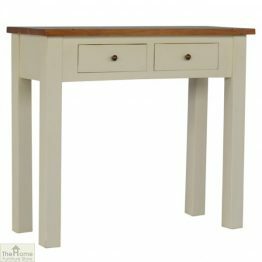  Choose from a wide choice of hallway and side tables in our Dining Room section. 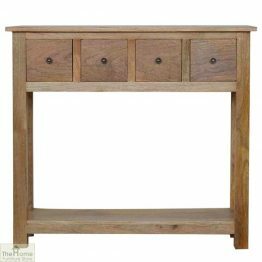 We have several superb collections. 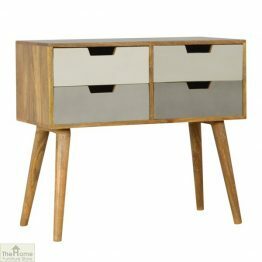 The sleek lines of our Retro side tables with their stylish legs are very popular. 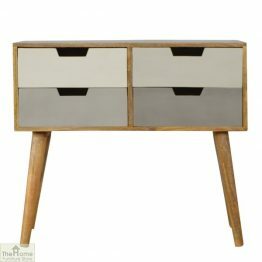 Our Retro Collection is bang on trend. 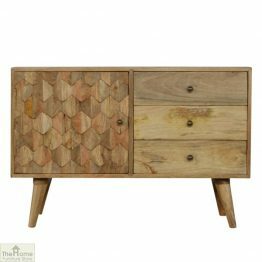 Reminiscent of the classic 70’s style. 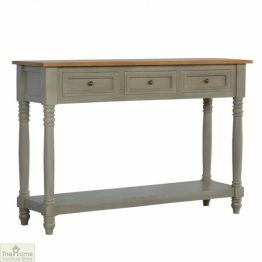 Or you may prefer the vintage inspired shabby chic console tables. 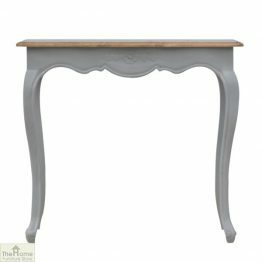 Browse through our Devon, Bordeaux and Limoges collections. 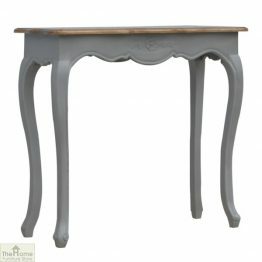 The ranges offer curvy half round tables in painted and distressed finishes. 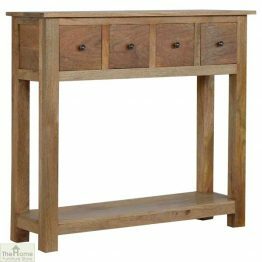 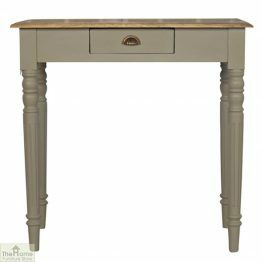 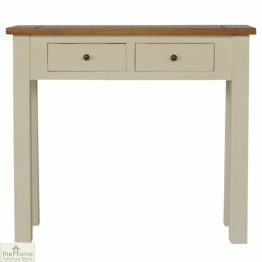 Complete your hallway by placing a solid Oak farmhouse style rectangular console table.